Places to See : Ezhara Beach House. Facing the sea, this is one of the most attractive centers in Kannur district in Kerala. It is also known as Kannur Fort. This fort is 3 kms away from Kannur town in the western direction. The fort stands close by the Arabian Sea. 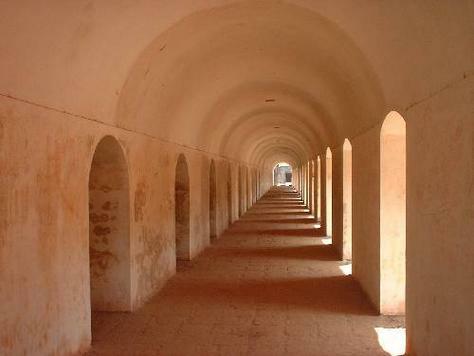 This fort proclaims the strength and beauty of Portuguese architecture. The two sides of the fort facing the sea was built in a triangular shape. It was Don Francisco De Almeida, the first Portuguese Viceroy, who laid the foundation stone of this fort with the permission of Kolathiris in 23 October 1505. The Dutch captured the fort in 1663 and sold it to the Ali Raja of Kannur in 1772 and in 1790-it came into the possession of the British. This fort is now under the control of Archaeological Survey of India. It has a length of 4.5 kms. The special feature of this beach is that the vehicles can be driven without getting stuck into the sea sand. This is why the beach is considered to be the only drive in beach in the State. This beach which extends from Muzhuppilangad to Moithu Bridge is considered as swimmers’ paradise since there are no waves in this part due to the rocks here and there and the sea is not deep. 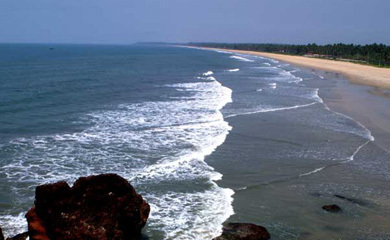 This beach is 15 kms away from Kannur in the south direction and 8 kms away from Thalassery in the north direction. A tourist can reach this beach through five panchayat roads starting from the National Highway. This small Island which is situated in the sea like a green spot just 100 m away from shore, becomes a blissful experience to tourists. This isle is full of coconut trees. There is only a well here as the symbol of human presence. One can reach this place by boat from southern part of Moithu bridge in the national highway. During ebb time one can reach here by foot. From this isle one can see the rocks around and the beauty of Muzhuppilangad beach and the distant beauty of Thalassery town. When Dharmadam isle was an important trading center, this isle was in the possession of Chirakkal king. Later it passed into the hands of the English. 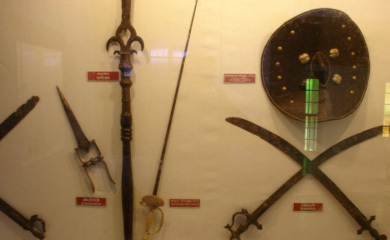 The fort is situated in the Thiruvallippad hill of Thalassery town, 20 kms away from Kannur in the south direction. It was constructed by the British East India Company in the year 1708. this fort has to tell many stories of the victory and defeat of Kalathiri, Tippu Sultan and Pazhassi Raja. This dam site is 11 kms away from the birth place of Pazhassi Raja and 37 kms away from Kannur. The dam site is across the Kuyilurpuzha. It is a very beautiful spot. Boating facilities are arranged to attract tourists. It is 44 kms away from Thaliparampu and 4500 feet above the sea leve. These huge mountains lay spread over 500 acres of land. This is a dense forest area. One can go by bus upto Pottanplavu. From there jeep can be driven for six kms. After that, 2 km walk by foot. 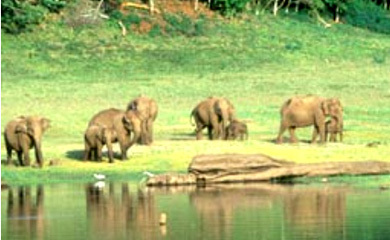 North of Paithalmala is Kudaku forest. The Gundert Bungalow is situate at Illikkunnu, 2 kms away from Thalassery near the National Highway. It was here that Gundert, the German missionary and the plyglot resided for 20 years from 1839. he made invaluable contributions to the Malayalam language. Vismaya Infotainment Park is a modern themed amusement park built in 27 acres of scenic spot near Parassinikkadavu, Kannur. The park promoted by the Malabar Tourism Development Co-operative Ltd (MTDC) is designed to provide healthy and wholesome entertainment.